On 11 January 2019 the UK based school conducted a balloon release as part of a 'Splendid Skies' lesson. This is the general name for a group of lessons that are taught to 'year one' (five year olds) for half a term. The children learn basic weather and science information. For instance wind is discussed and the question asked "if you were a balloon, how far would you fly?" 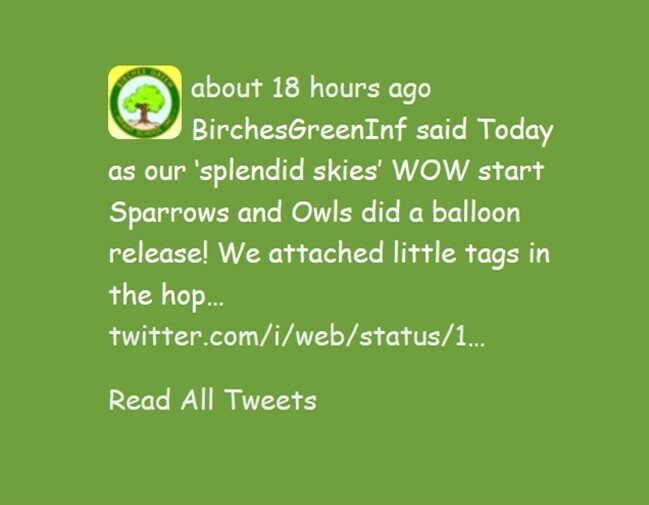 Birches Green Infant School, Birmingham proudly announced on Twitter "Today as our 'splendid skies' WOW start Sparrows and Owls did a balloon release! We attached little tags in the hope that someone in a different city or even a different country will contact the school! We made a wish as they went. #splendidskies". Ironically Birches Green state on their website that their school vision is "To provide equality of opportunity and foster respectful attitudes towards the environment and others". 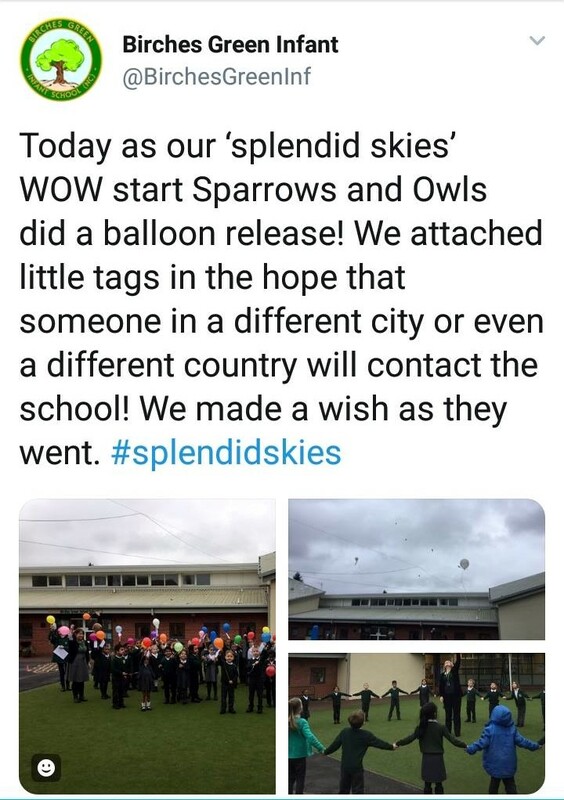 Following the balloon release, a number of people tweeted the school, concerned that the wrong lesson had been taught - it is perfectly ok to sky litter - and requested that Birches Green Infant School works with its pupils to turn this mistake into a learning opportunity. It was clear to everyone contacting the school that the children learned from their teachers that a balloon release is a socially and environmentally acceptable activity. 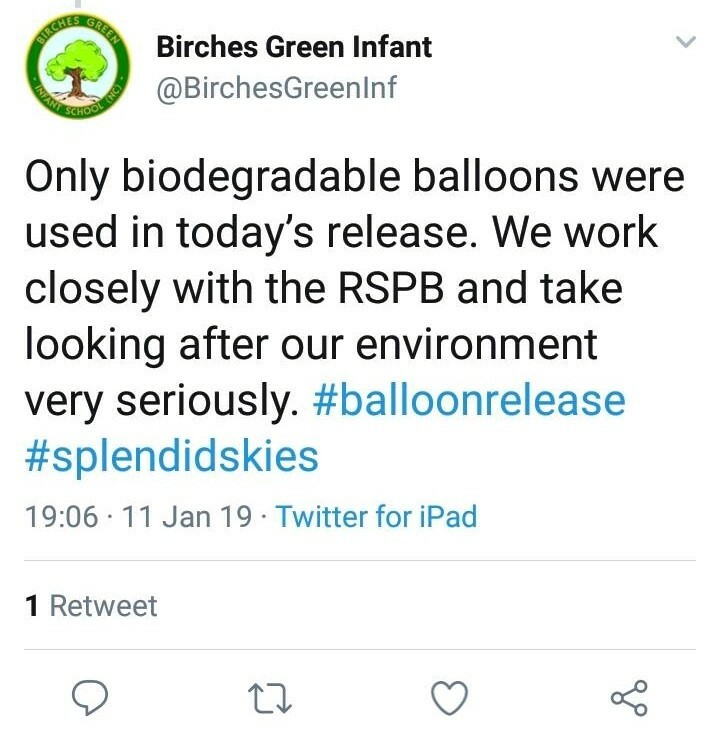 The school responded on Twitter that "Only biodegradable balloons were used in today's release. We work closely with the RSPB and take looking after our environment very seriously. #balloonrelease #splendidskies". The school was advised that there is no such thing as a biodegradable balloon, because they don't hit the ground and disappear, they can potentially hurt farm, wild and marine life for several months. And the RSPB does not advocate balloon releases. The school blocked the environmental lobbyists on Twitter, and then deleted the school's tweets. This is not an optimal way to manage a situation where someone has made a mistake. 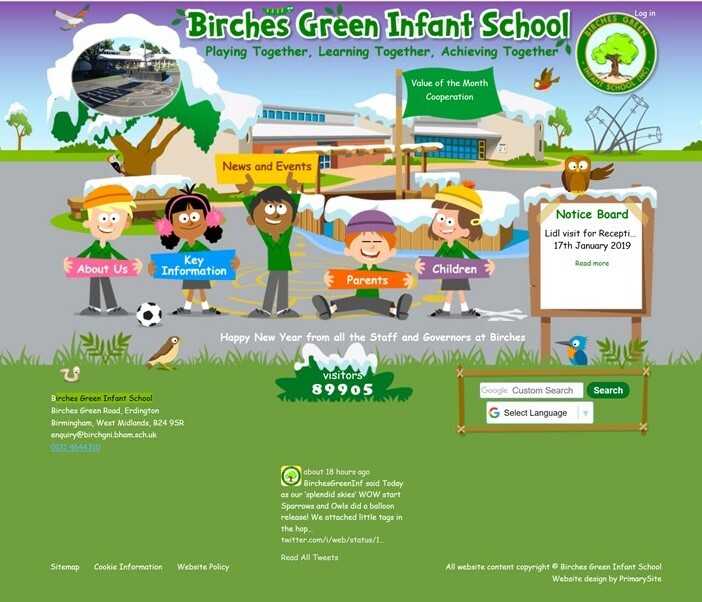 Will Birches Green School be sued? It is quite possible that the infant school could be sued if livestock or a horse dies as a direct consequence of this balloon release. In 2011 a farmer successfully sued Lyndhurst Primary School in Camberwell after his bullock choked to death on a balloon string. The farmer, Richard Vant, found the balloon, with string and a school label attached to it, sticking out of the dead animal’s mouth. In the UK we are fortunate that we are approximately 70 miles to the sea. It is quite probable that these balloons will end up in our sea, contributing to the plastic ocean problem.